This year we have designed a Christmas card to help a good cause. The Jean Grove Trust is a small Cambridge-based charity which supports four schools in Ethiopia: three in remote rural areas and one in the large city of Bahir Dar, at the source of the Nile. In all four schools, the charity supports the very poorest of the poor, paying for school fees, clothing, food and books. Often, the clothes are the first new clothes that child will ever have owned, and the lunch they receive at school will be the only hot meal they eat that day. 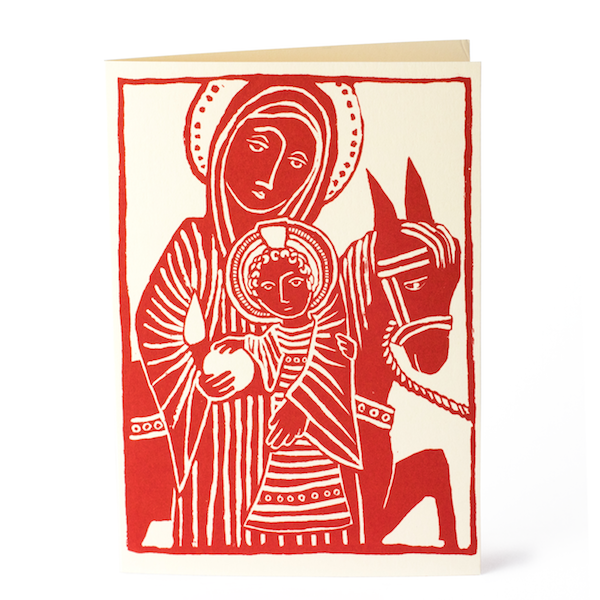 Our Flight Into Egypt card is based on a C12th wall-carving in the cathedral at Autun, in France. It’s available in a packet of ten. For every packet we sell, £5 will go to the Trust. Since the charity has no overheads, every penny of that will go straight to the schools. It’s enough to pay for every aspect of a child’s school life for about a month.